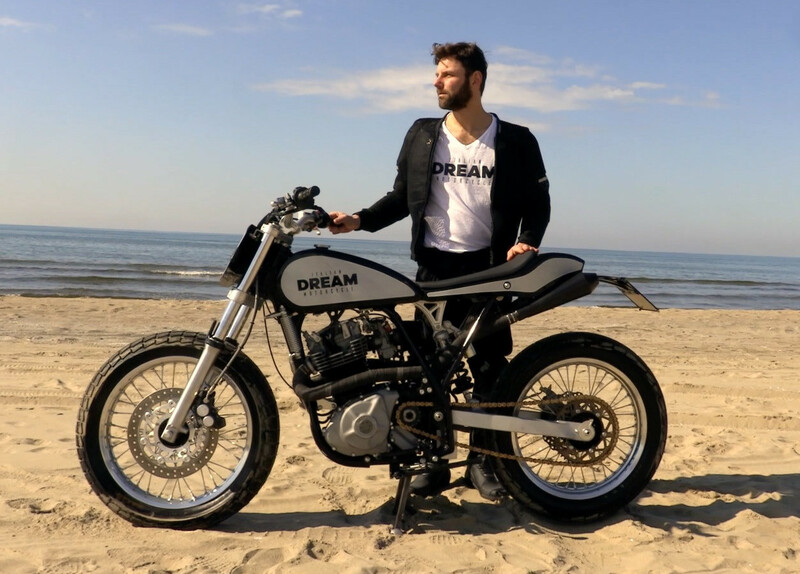 Sergio Giordano, founder of Italian Dream Motorcycle crews a team of professional racing mechanics uniquely qualified to build high-performance custom motorcycles. 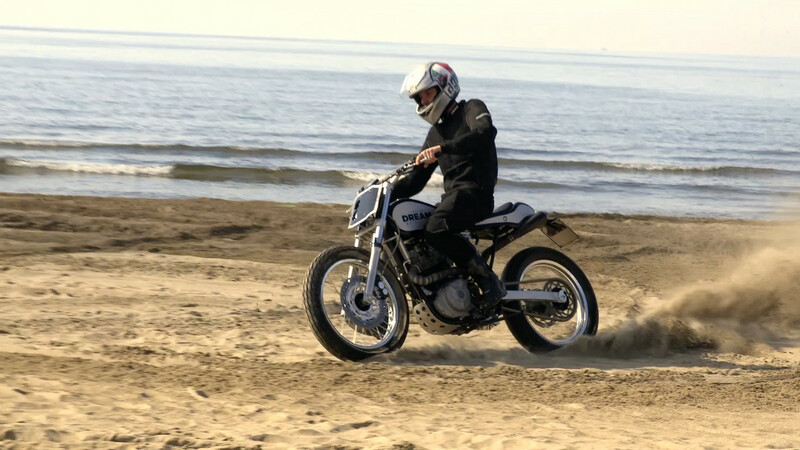 Around 2012, Graziano got hold of a Zaeta for his son — a YZ450F-powered flat tracker with a J&M custom frame. 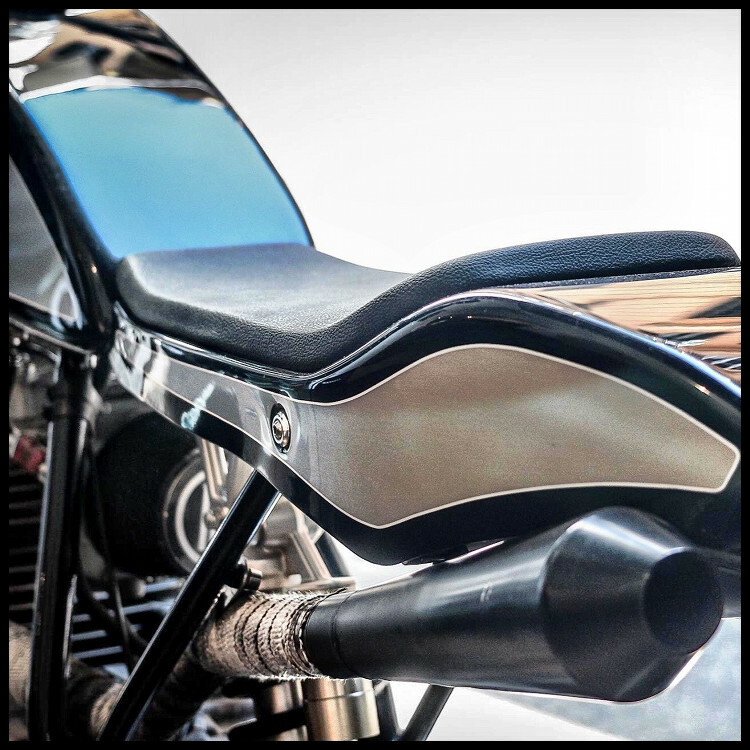 Sergio was able to get Vale’s tracker’s mechanical dimensions and geometry, building the Dream’s Tracker 600 to the same specs. 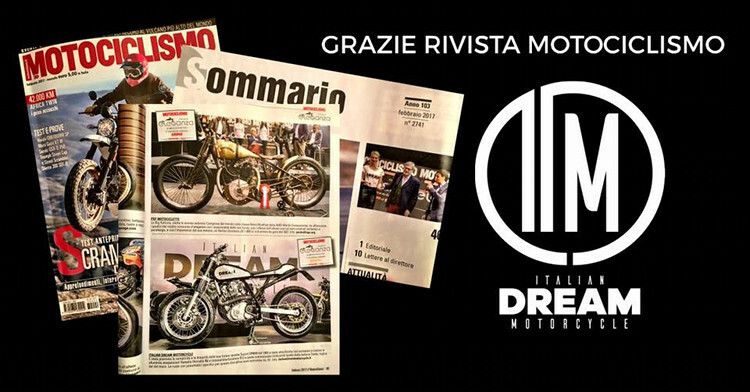 The Dream’s Tracker 600 won the Sideburn award at a recent motorcycle expo, as well as the elegance award from the magazine Motociclismo. The bike is even for sale on The Arsenale. 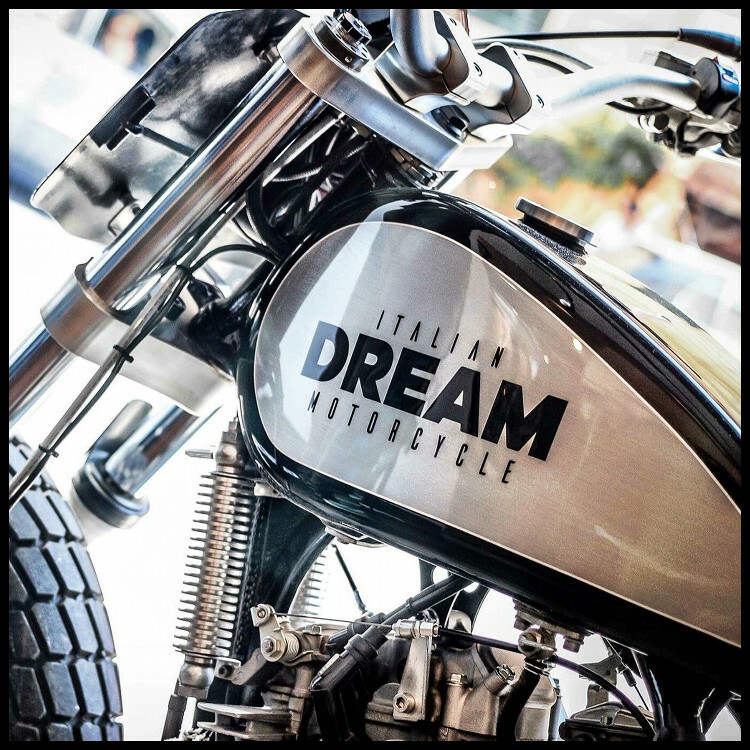 Go here to Request a Demo or Learn More about the Dream’s Tracker 600. 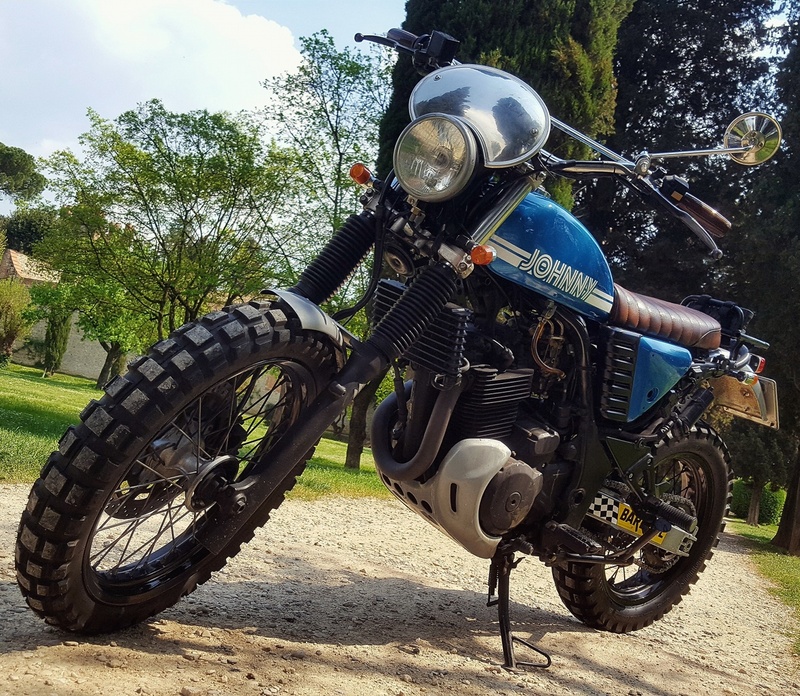 Below, we get the full story on this stunning Suzuki DR street tracker! 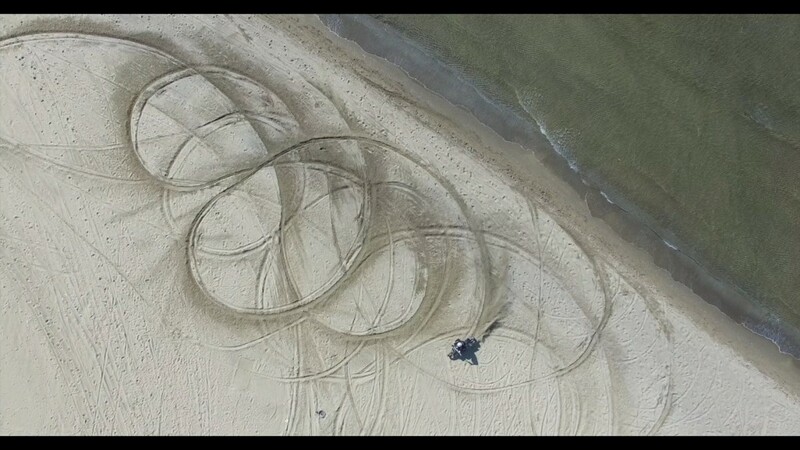 It has been written that I am obsessed with creating gorgeous motorcycles that perform brilliantly. It’s true. To make sure we have perfect vehicles, we use the collaboration of mechanics who work in the Superbike World Championship and in MotoGP. My collaboration with a World Superbike team helps me in this. 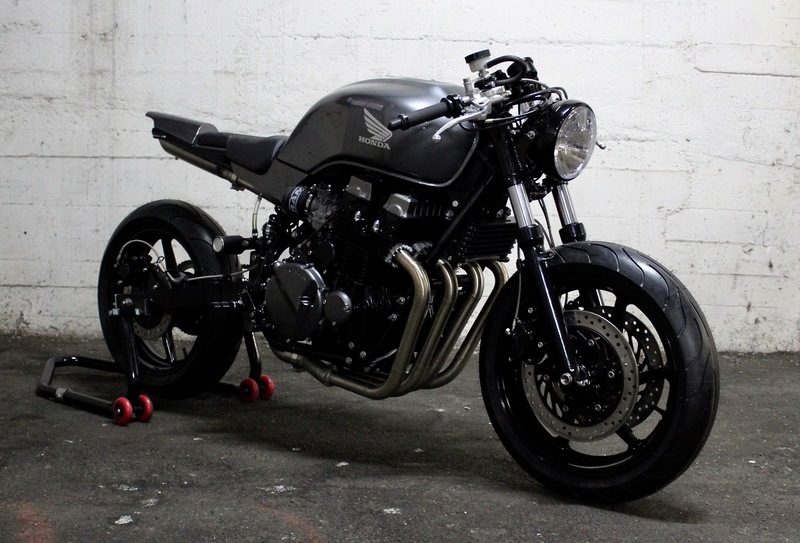 The Bike is a Suzuki DR 600 of 1985. 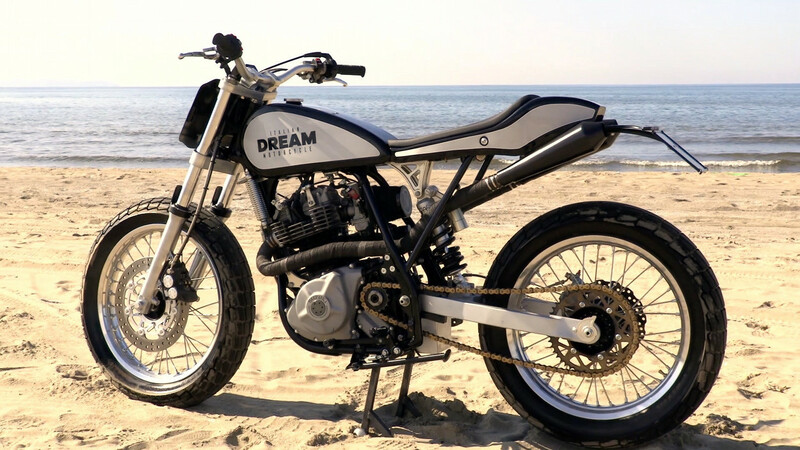 The dream’s tracker is our vision of the flat track motorcycle. Like our style, we want build a special bike not a show bike. 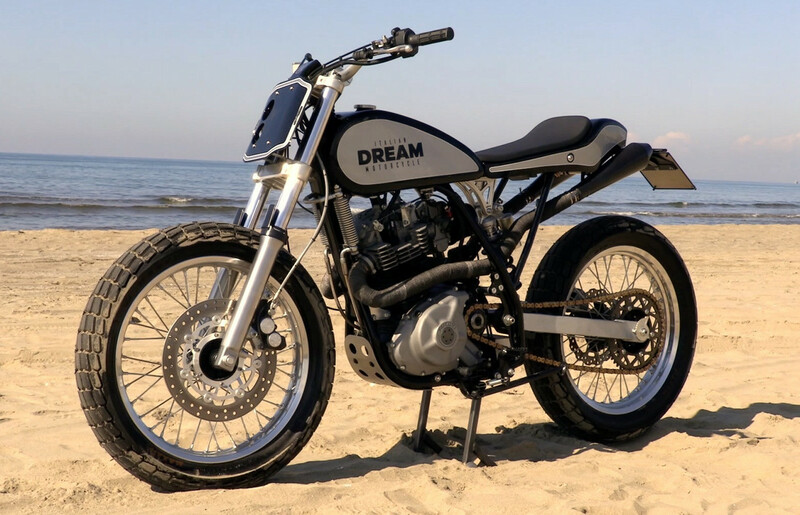 At the same time, we wanted to make a motorcycle that was fashionable, and the fashion of the moment is the flat track — the dream’s tracker is made in a single model. 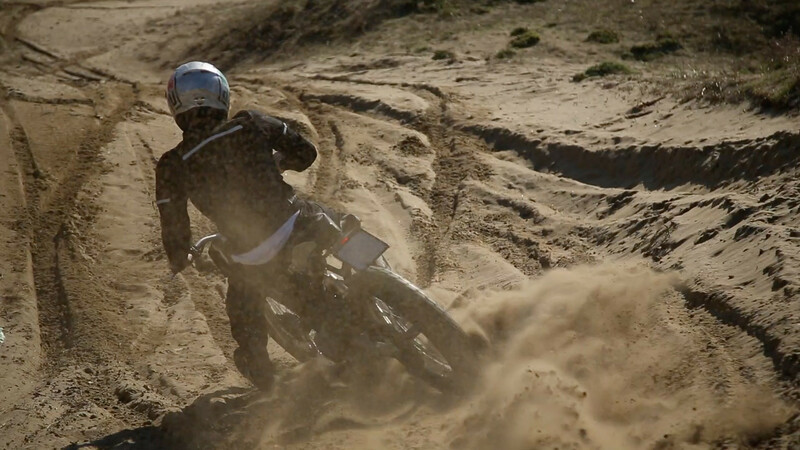 We wanted to make a bike with a simple classic line, but that had the size of a flat track bike. 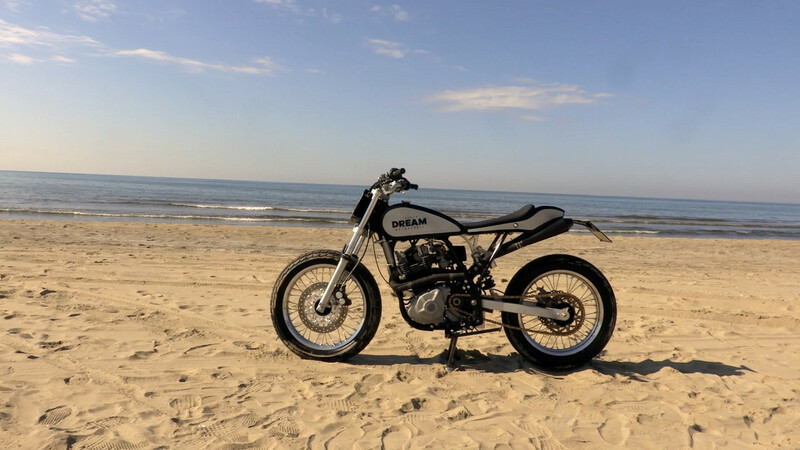 While the bike was under construction, the partner of Graziano Rossi [Valentino Rossi’s father] gave us the mechanical dimensions of the Zaeta flat-tracker — mechanical dimensions that our motorcycle fully respects. Everything is completed with two race-approved 21″ Maxxis wheels. But obviously the bike equipped with LED lights is approved to go on the street and can be used every day. All of the bodywork is built out of aluminium. 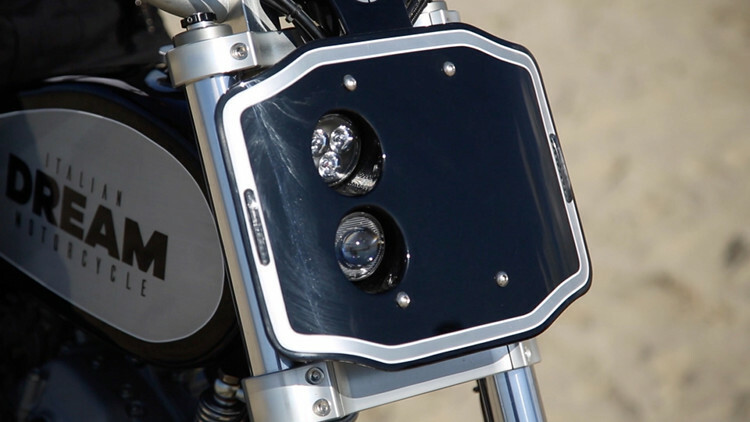 It features a CNC machined steering plate and is powered by a chain drive transmission. The single cylinder 595 engine cranks out 45 horsepower, more than enough to navigate all sorts of terrains. 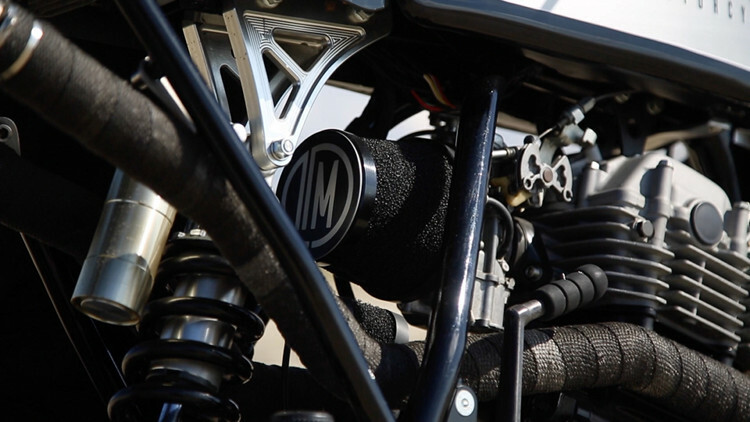 Maintaining its heritage, the bike is started via a kick-starter. The old dashboard is replaced with a brand new OLED one. 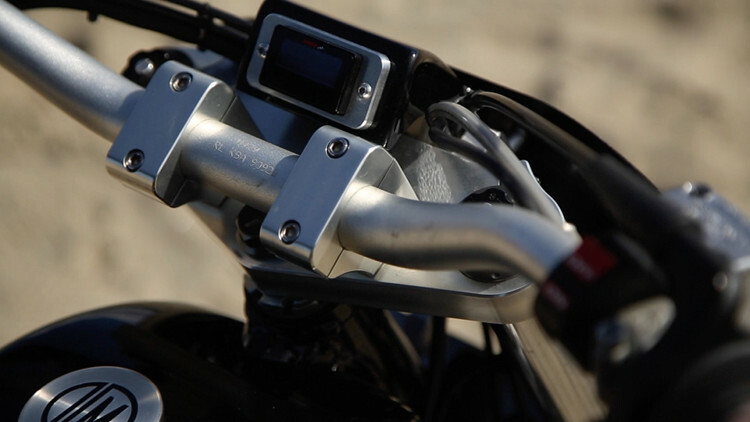 On the handlebars you can find the new Domino controls and levers that control the Brembo brakes. 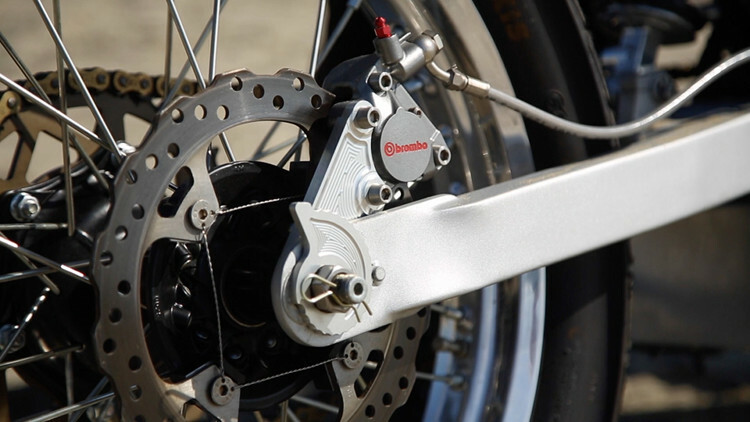 The brake pump is also made by Brembo. Both front and rear lights are replaced with new LED ones. IDM replaced the front forks with new ones from a Yamaha R1 and a back suspension from Yamaha R6. The seat is built out of fiber for added durability. The bike has just celebrated its first year of age. 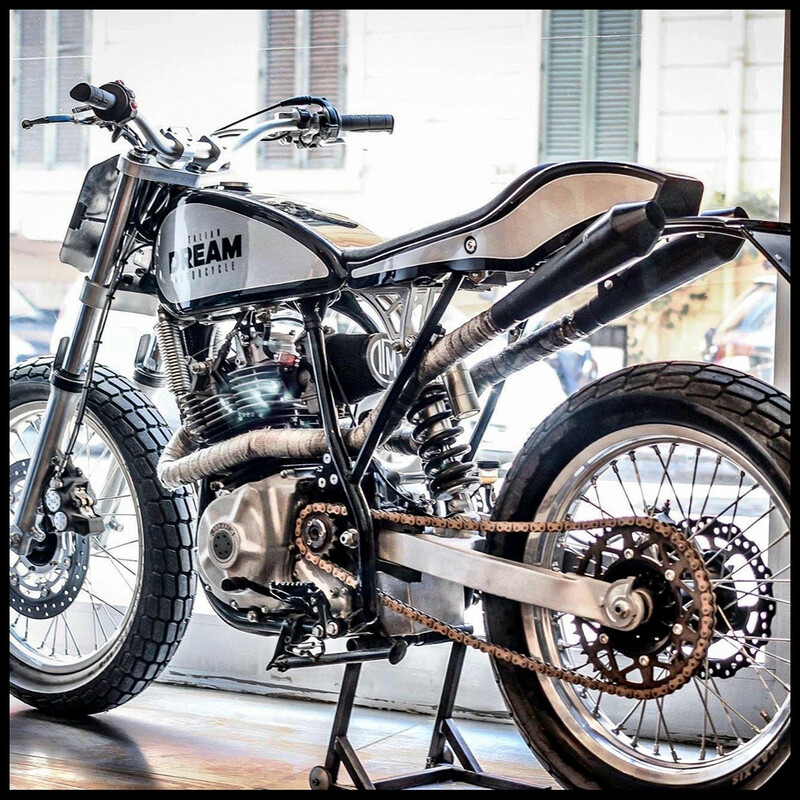 At the motorbike expo, it won the Sideburn magazine award, as well as the elegance award from the magazine Motociclismo. 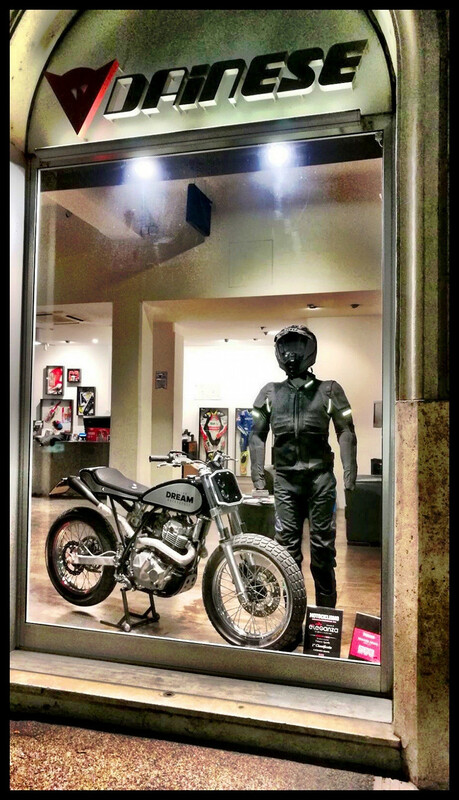 immediately after the exhibition we made a video with our cross rider Toto Angelone that AGV Helmets shared on their social channels, and Dainese wanted the bike on display at their shop in Rome.